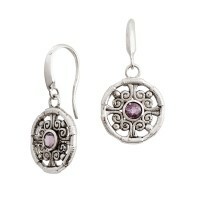 Smooth wire trim encases a brilliantly cut purple rhinestone that alternates spots with an diamond shaped open twisted wire frame, just like the name implies sometimes the purple loves to show sometimes not. 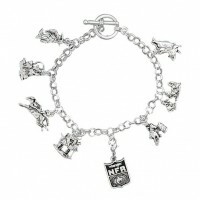 The chain bracelet closes with a lobster clasp and is 8.5 inches in length. 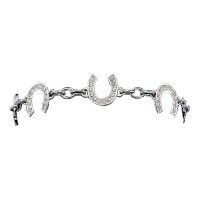 Sparkle with a little bit of country flair best describes this bracelet with its rounded square cushion cut cubic zirconia that alternates with thin wire wreaths with a barbed wire design. 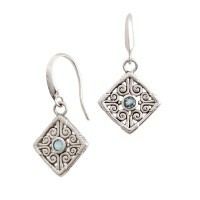 Measures 8 inches and secures with a clasp. 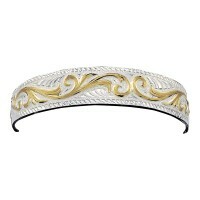 This bracelet has two strands that make up one dainty creation. 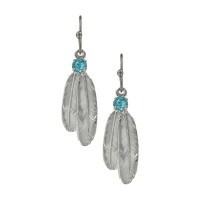 A delicate simple chain runs alongside a beaded chain that alternates a turquoise colored bead and a bright silver finish bead. 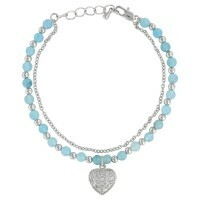 A heart shaped pendant that is covered in clear rhinestone is attached to the middle of the second chain. 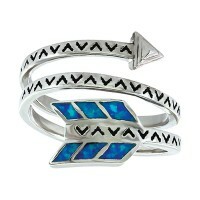 Bracelet measures 8 inches total. 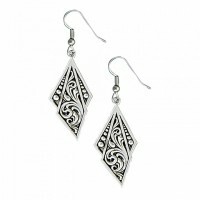 A romantic combination of hearts and flowers in one beautiful design. 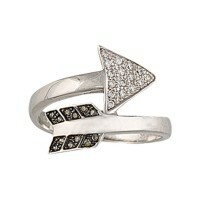 Bright silver finish shines on the five hearts that rest within the v of the flowers petals. 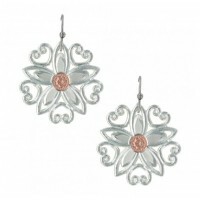 A rose gold finish gives a depth to the center of the flower. Open space throughout the design gives a light and airy feel to the design. 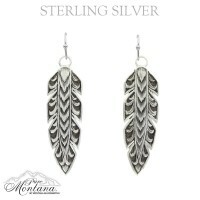 Earrings hang from hypoallergenic French hooks. 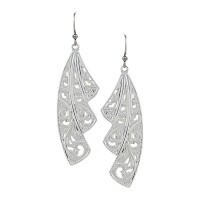 Like a fan from days gone by these silver finish earrings curve around a woman's face, with their bright cut open lace filigree design set into three tiered sections these delicately crafted earrings tremble about the face. 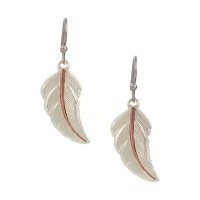 Set on hypoallergenic French hooks. 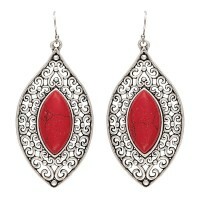 These large dangle earrings feature open filigree swirls framing® large marquis shaped red colored stone. 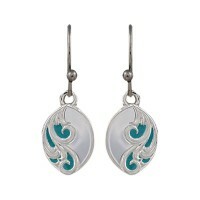 Dangles on hypoallergenic stainless steel French hooks. 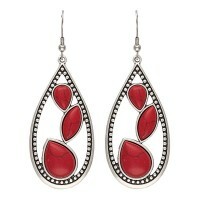 This silver-tone dangle earrings on hypoallergenic stainless steel French hooks arranges® myriad of oval, pear and marquis shaped red colored stones arranged lightly inside® pear shaped frame pendant.